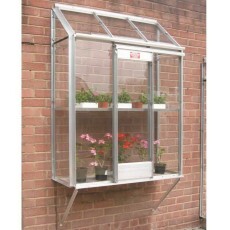 If your circumstances result in little or no floor space whatsoever, then Elite’s Window Garden can attach to walls or sheds so you can still grow. 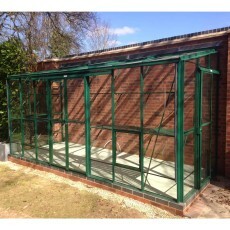 Including the same features as the Kensington 4 but larger at 6’4″ wide. 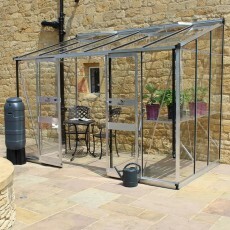 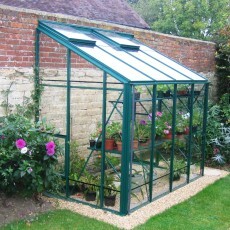 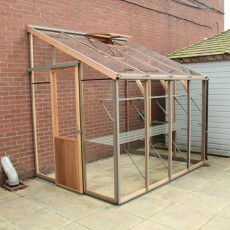 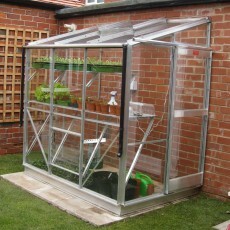 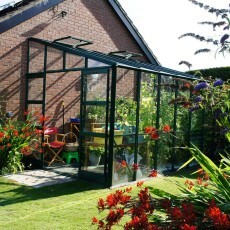 All Elite greenhouse are available in 10 different colours. 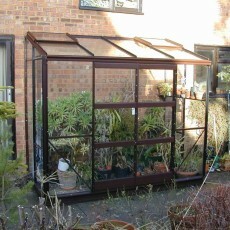 The new Eden Broadway uses the unique zero threshold door system, but this time on a single sloping lean-to either 4’4″ or 6’4″ deep. 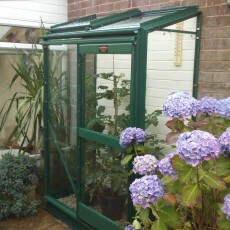 This 6’4″ wide, lower pitch Robinsons lean-to, with a ridge height of 7’11”, is ideal when your wall height is restricted by windows or roof line. 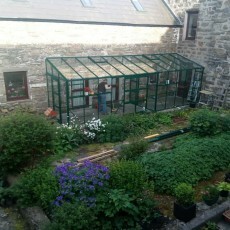 Measuring 5’4″ from the wall, this Robinsons Lean-To is ideal for where space is limited or you would like your greenhouse close to the house.